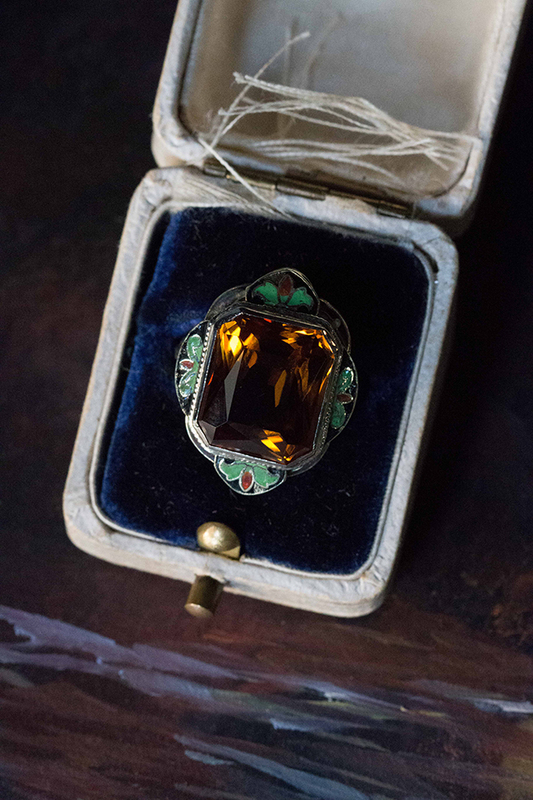 Art Deco Phillip Klein 14k white gold, large citrine & enamel ring. 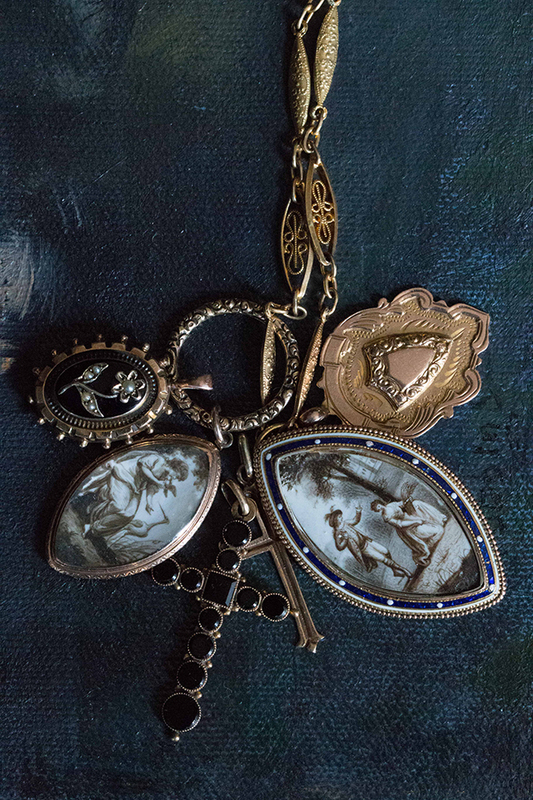 From left to right: Victorian 14k black onyx & seed pearl pendant, Victorian rose gold navette pendant featuring woman & birds, Victorian onyx & rose gold cross, Victorian 10k rose gold channeled cross, Georgian rose gold navette pendant featuring proposal scene, 1920's 9k shield pendant. All linked with a Georgian 14k gold heavily engraved split ring and suspended from an Art Nouveau filigree chain. 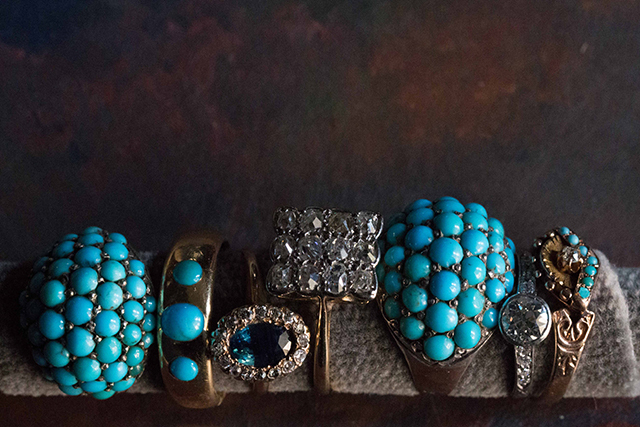 From left to right: Victorian pavé turquoise dome ring, Victorian hammer set turquoise cabochon ring, Victorian 14k sapphire & European cut diamond ring, Deco pavé diamond platinum & 18k square ring, Victorian pavé turquoise dome ring, Edwardian diamond & platinum engagement ring, Victorian diamond & turquoise 14k eye ring. 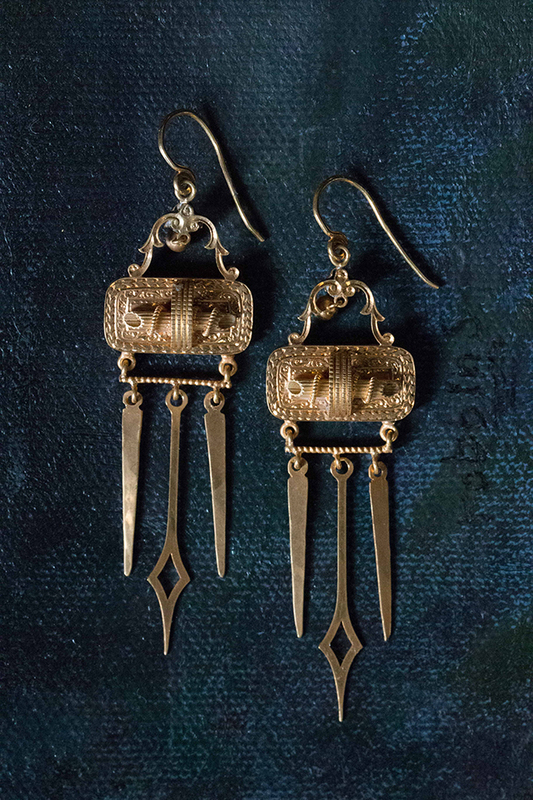 Victorian 14k gold fringe drop earrings.